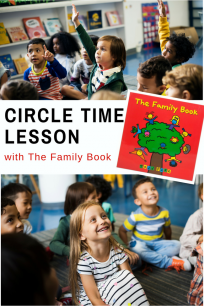 Rhyming is one of my favorite literacy skills to work on with children because it’s fun and rhyming is a vital part of literacy development. When children rhyme they play sounds and apply their abilities to new combinations of letter sounds. Rhyming uses a lot of different skills like listening, distinguishing specific sounds (phonemes), and being able to break a word into syllables. Obviously, rhyming is important but it’s also fun. 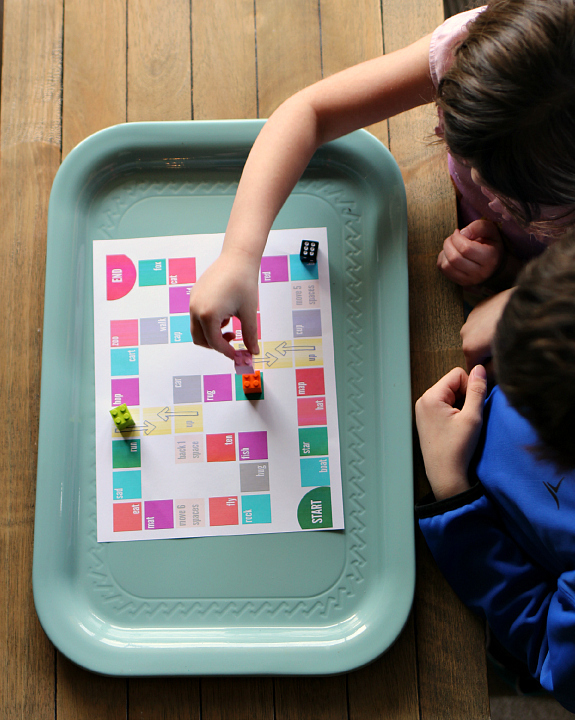 I whipped up this super simple printable board game and was so pleased when it was as big a hit with my 4-year-old as it was with my 8-year-old. 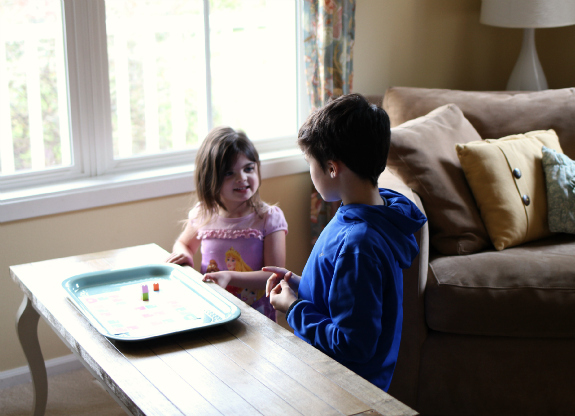 Finding an activity that they both love and is educational is like winning the lottery. 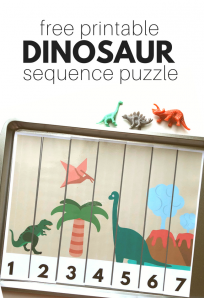 You can print it out for FREE and get rhyming right now! 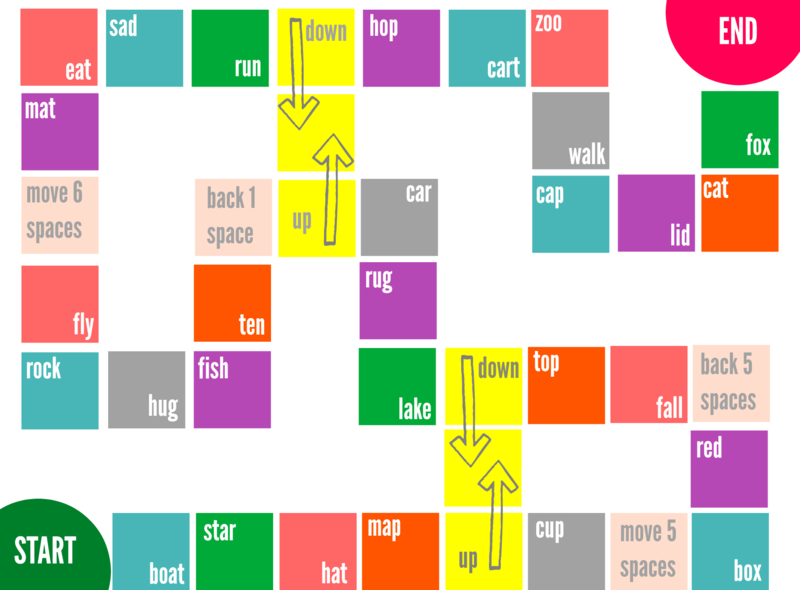 Print out the game board. <— click this to print the pdf. Gather your materials. 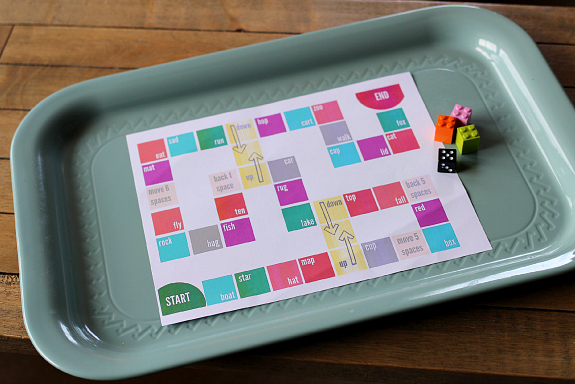 You will need the game board ( click here to print) , a die, and some game pieces. We made ours with some LEGO. 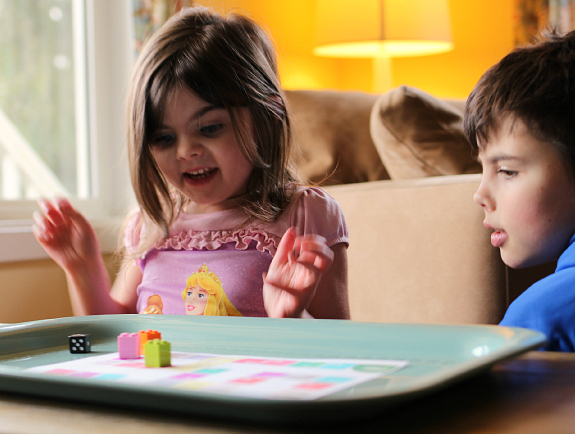 I also love using a tray with games with dice because it gives my kids a fence for their insanely dramatic dice rolling. This is where I lose my cool, I know it shouldn’t bug me but when dice are flying everywhere I get cranky. The tray keeps it in and keeps me from wrecking the fun with nagging. Place your game pieces on start. Move how ever many squares you rolled. When you land on the square read the word and yell out a word that rhymes with it. The first person to get to the end wins. 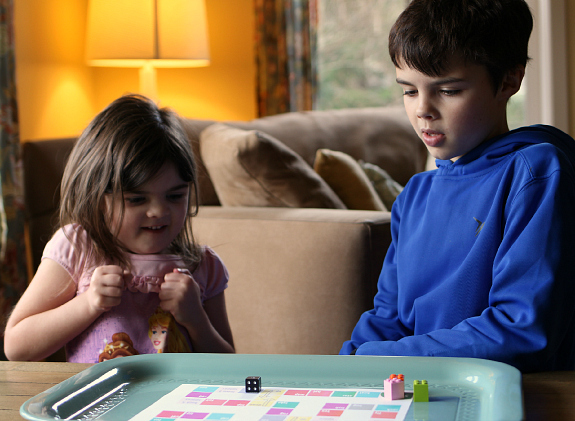 They were off to a great start and the game was an instant hit. When one of us ( yes I was playing too) landed on a word both kids would call out more than one rhyme. It was awesome! Luck was on my side and I won, but they kept playing. That is a sure sign that it’s a fun game. 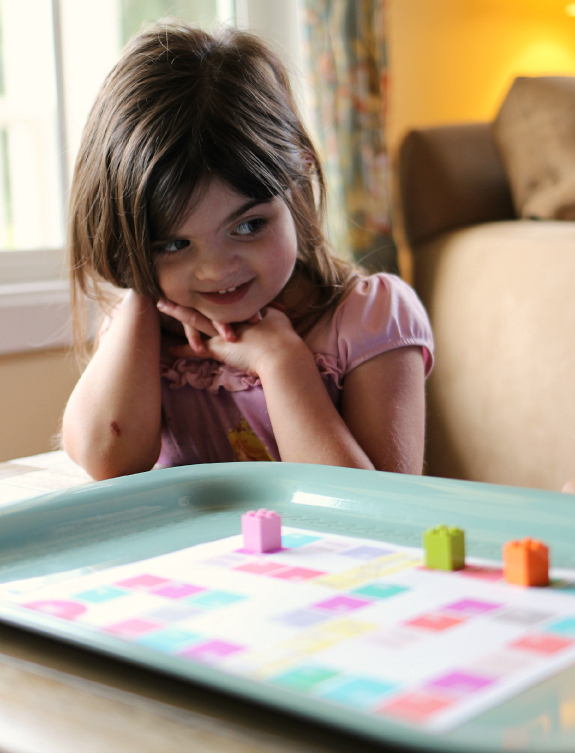 My son helped his sister reading some of the words on the game board and the majority of the words I’d chosen were words she’d be able to read herself. This built her confidence while having fun and having her brother their to scaffold was a great switch from me being in the teacher role. 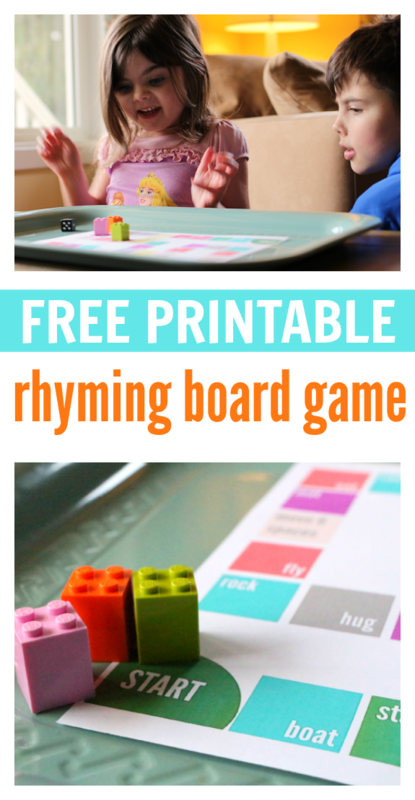 Need some more rhyming activities? 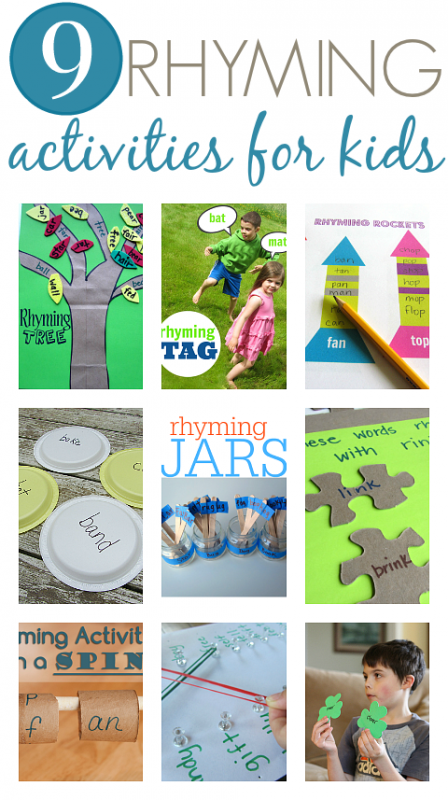 Try these 9 Great Rhyming Activities. Previous Post: Kindergarten Checklist – Why I’m ditching it. Thank you for sharing the Rhyming Game. 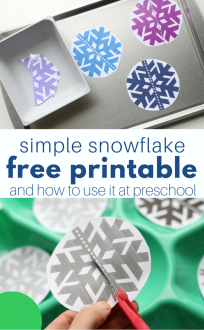 I would love to make one for my class but will use pictures as they can’t read yet. Love your website – full of lovely ideas! 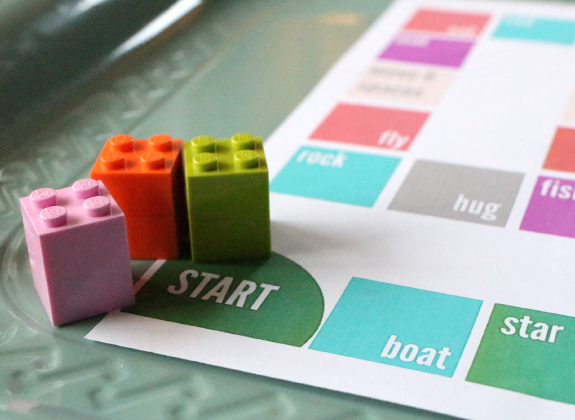 Hi, I really like the design of your board game. I was wondering how you made it. Did you use Microsoft Word? Or another program? would love to download this game but am unable to. Can you tell me how to download. Was able to download the rhyming rockets but not the rhyming game. So sorry I am just seeing this – click the image and then save it to your computer. After that you can print as you wish! Try clicking on the image then saving and printing. Let me know if that doesn’t work. How do I download the free rhyming game there is no spot to click that I can find? Click on the image and it will get larger then save to your computer and print! Hi I would love one of these for my boy who is 4&1/2 & learning in reception full time at school. Could you please re-post it in black and white? I saw your comments about Picmonkey as the tool you used to create this board. I would love to adapt it to words that rhyme in Spanish. Can you possibly post the file so it would be easier for me to do this? Thanks so much for your ideas, they are very inspiring! The only file I saved was the board itself. You could save it then edit it matching the colors and using the overlay tool! Good to know I have company!